More than 150 thousand people visited the very popular ramen shop in Paris “HAKATA CHOTEN!” The shop won 1st place in the rating blog of Paris. 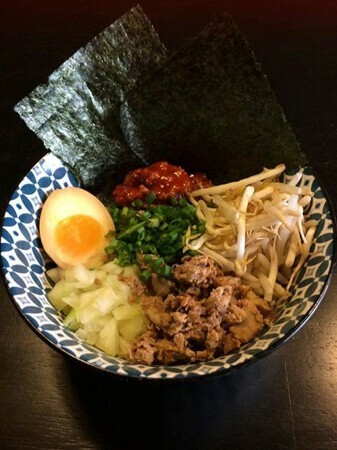 JFPM GLOBAL SARL opened the Hakata tonkotsu (pork bone broth) ramen shop “HAKATA CHOTEN” in France in May of 2015. There are two shops in Paris and the number of the visitors exceeded 150 thousand. “HAKATA CHOTEN” is a full-fledged tonkotsu ramen shop (first tonkotsu ramen shop in Paris) which offers Hakata ramen with tonkotsu soup boiled for more than 24 hours and thin noodles (1.3 times heavier than the noodles offered in Japan). The hardness of the noodles (normal, hard, hardest) and the flavor of the soup (light, normal, thick) can be chosen and the people in Paris are surprised with their sensitive service. A report concerning “HAKATA CHOTEN” has been uploaded on our MOSHI MOSHI NIPPON website so please take a look. 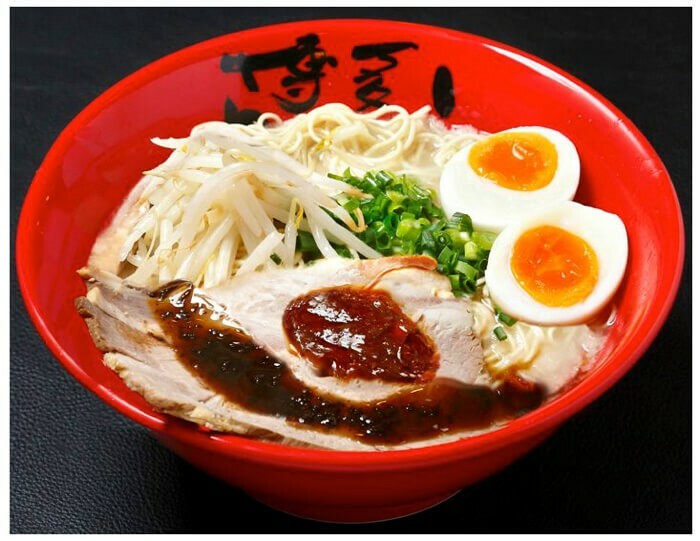 They explain to their customers about ramen details such as the fact that noodle get softer with time, the system of “kaedama” (noodle refilling system) and how to eat ramen. 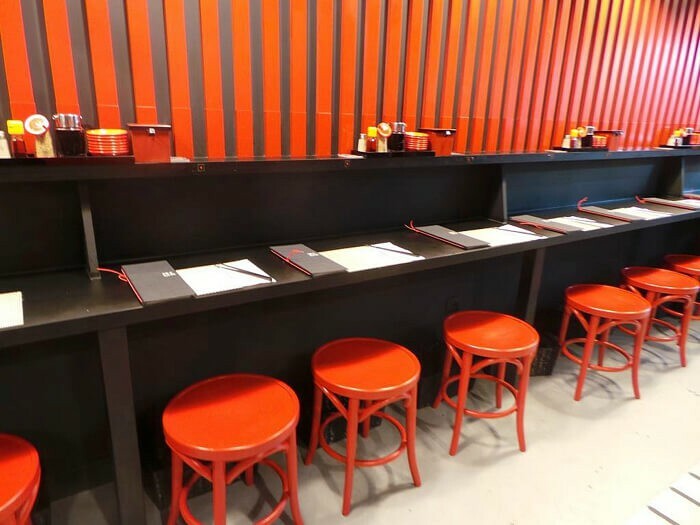 The interior of the shop is created based on the image of a shrine gate and the ramen is offered in “Aritayaki (famous Japanese porcelain)” bowls so that customers can experience the traditional culture of Japan. 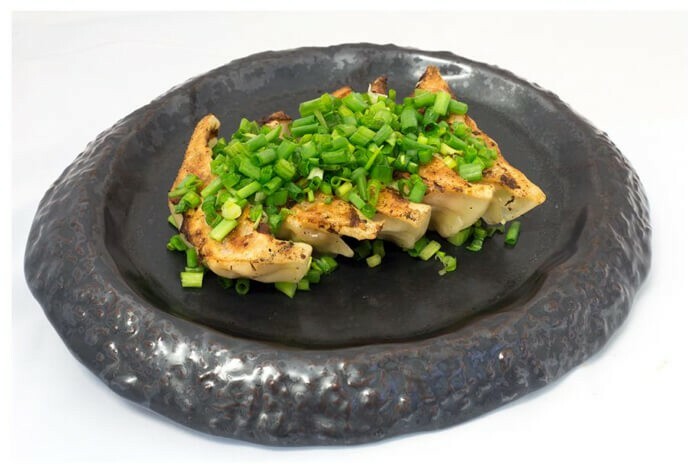 They started a delivery service from the 5th of September 2017 which includes menu items such as ramen (soup and noodle are separated), gyoza (dumplings) and green soybeans. They put the broth and noodles inside a container which has passed a heat-duration test many times and the delivery system is known as a unique system among people in Paris. They are introducing Japan’s ramen culture to French people. Why don’t you visit the shop when you visit Paris? Next » Ippudo releases new ramen for Niconico Chokaigi 2019 super cultural event!